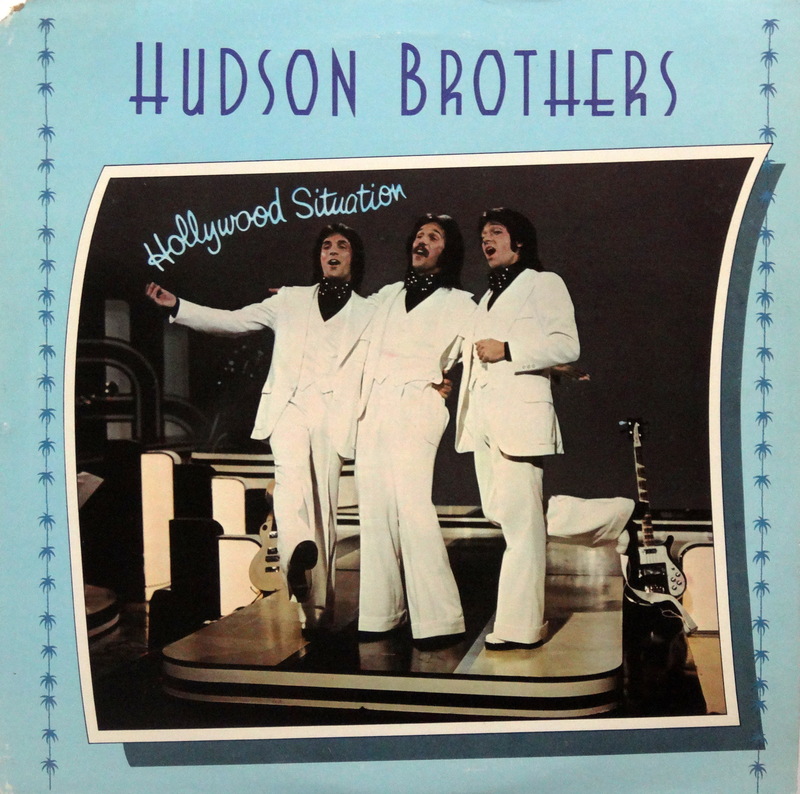 The Hudson Brothers hosted an absolutely horrible variety show in the mid ’70s. It really sucked, which of course meant that my sister and I loved it. Honestly our versions couldn’t have been much worse. Mark Hudson went on to become a mega producer/songwriter, most notably with Aerosmith. Bill and Brett still kick around the entertainment business, too. This album has really no collector value or artistic merit — just a lot of sentimental value for me. I’m guessing you can buy your own copy for a buck or less. Happy hunting. Sorry to say it but they look like the typical drunks leaving the new year’s party. Really there wasnt any other photo for the album? The other photo was them entering the New Year’s party, and they weren’t too happy yet. I loved this show! Chucky, Fab Freddie, The Island of Pegi Pegi and Rod Hull and the Emu! The skits were better than the songs, but I think I have a 45 of ‘Rendezvous’ somewhere. Here’s the big question: Would you love it now, and if so would it be out of nostalgia or because you truly think it’s a good show? I used to love this show! But in answer to your question to Robbo, I imagine if I saw it now my affection would be all nostalgic. I looked up a few videos. Couldn’t find one of Pegi Pegi, which had the funny opening line of “Ho hum. Another boring day on the island of Pegi Pegi.” Freddie still makes me chuckle when at the end of the skits he always offers the brothers some sort of food that just isn’t appetizing and the brothers respond in unison, “No thanks, we’re trying to cut down.” Chucky (“Heyy, Mar-go-lis!”) had it’s hits and misses, but I think the funniest part of it are Mark and Brett’s voices. Hull’s Emu is simply classic. With that fake arm around the bird he really did make that thing come to life. The Hudson show was just a small part in his career. Hull had some balls too. When he met the Queen, Emu attacked the flower bouquet she was holding. Silly and childish – yes. Simple and asinine – oh, yeah. But that’s the stuff that makes my cheeks hurt and tears roll down them (Benny Hill, Carrot Top, the Unknown Comic, Rip Taylor – God bless you all). So if one isn’t into that sort of comedy, the Hudsons won’t razzle dazzle everyone. Nostalgia does play a part. I laughed at it when I was kid, but I also laughed at the videos I found. In the end I guess I’d rather watch reruns of that and laugh at the silly than sit through most of today’s comedies and just stare at the unfunny. Now please excuse me. I’m a little hoarse, (holding up little toy horse)!! RIMSHOT!! I don’t remember much of the show, but the regular sketch where they would stand around telling gawdawful jokes and the guy in the corner would do the rimshot…. Ya gotta hand it to folks who are willing to do *whatever* to entertain their audience.